2010 E-max 190L. Picture credits - E-max. Submit more pictures. The cage frame was exclusively designed for e-max electric scooters. Because of the cage shape it is extremely strong, light and offers enough space to fit up to 60 Ah silicone or 15 x 90 Ah lithium batteries. Comments: 13�� high performance maintenance free motor. 2.5-5 hours charging time. Lithium ion battery. Lithium Ions can be recharged to a minimum of 1000 full cycles. This means more than 100,000 km. Operating range per charging 130-150 km. German made scooter. Ask questions Join the 10 E-max 190L discussion group or the general E-max discussion group. Bikez.biz has an efficient motorcycle classifieds. Ads are free. 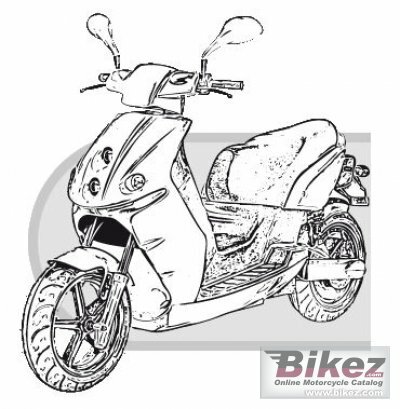 Click here to sell a used 2010 E-max 190L or advertise any other MC for sale. You can list all 2010 E-max 190L available and also sign up for e-mail notification when such mopeds are advertised in the future. Bikez has a high number of users looking for used bikes. Before you buy this bike, you should view the list of related motorbikes Compare technical specs. Look at photos. And check out the rating of the moped's engine performance, repair costs, etc.